Are you ready to chair a committee to end executive conformity? 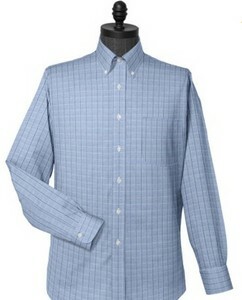 Well, there is no better place to start than with Brooks Brothers "Select" special-order dress shirts. Brooks Brothers has made the process of ordering shirts online very easy. Being a man of minimal patience myself, they have made the process painless for those like me, yet enjoyable for those who don’t mind the shopping process as well. Not only can you design your own shirt online, but you can also visualize your creation — all the way down to the finishing details of the monogram on the cuff!